Our travel advisors spend countless hours on webinars, attending seminars and visiting the destinations we recommend. Our continuing education keeps us up-to-date with the newest destinations and resorts. 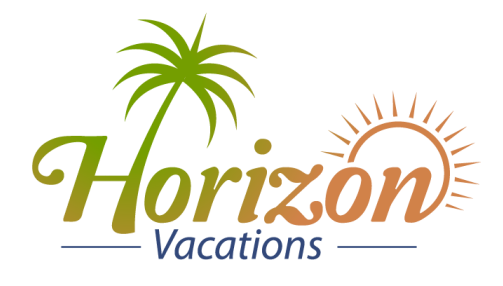 At Horizon Vacations, we are committed to providing our customers with top service and access to the best values in travel. Our industry relationships enable us to create incredible vacation experiences and provide you with peace of mind that we’ll be there if you need anything along the way! Please let us know how we can help you with your travel plans today! My experience in the travel industry spans more than twenty years. Over the course of this time, I have held several positions in the industry, including corporate travel, leisure travel and briefly worked as a hotel sales manager. My broad range of positions over the course of my career has helped shape my business as it is today. I arrange corporate incentive trips, handle groups large and small for families, destination weddings and friends traveling together on vacation. My true passion is helping engaged couples arrange their once-in-a-lifetime honeymoon vacation. I am honored to be a part of my clients' special trip and I enjoy spending time working with each couple to recommend the right resort or destination for their dream honeymoon. In addition to romantic vacations, I specialize in group travel including corporate incentive trips. He fortifies his personal experience with ongoing training as well. In addition to being a graduate of the College of Disney Knowledge, he has also earned certifications from United States Tour Operators Association, Windstar Cruises, Paul Gauguin Cruises (PEARLS), River Cruise Sales, Fiesta Americana Resorts (Expert), Israel Ministry of Tourism Israel Specialist, and Merlin Entertainment Groups North America (Specialist for LEGOLAND, SEA LIFE, Madame Tussauds).